The Malawi Communications Regulatory Authority (Macra) has said the country’s radio spectrum is overloaded and cannot allow the entrance of new players as well as expansion of existing players. Speaking in Blantyre Tuesday, Macra Director General, Godfrey Itaye, said his institution has hired a United Kingdom-based consultant, Casitel to do a frequency audit or re-farming to create additional space on the spectrum. The country has over 50 radio stations broadcasting on frequency modulation between 87.5 and 108 Megahertz. “As a regulator of broadcasting services in Malawi, Macra has been making a number of frequency assignments to broadcasters in the country to the point that the FM band has been so congested that additional users may not be accommodated. “This has been a result of increased demand for channels for both existing and new licensees in our broadcasting industry resulting in a need for more efficient planning and utilisation of the FM band,” Itaye said. He said the development is making it very hard to assign frequencies to new entrants without cases of interference and signal spillage with neighbouring countries. Itaye said this is denying some areas which do not have radio stations a chance to have their own station, especially community radio stations, within their geographical location. “Having observed the situation, Macra plans to carry out a spectrum audit and re-farming of the country’s FM band in order to make more channels available and accommodate more users. “The audit, in this instance, will be a tool through which Macra will fulfil its mandate of creating an enabling environment for the growth of services in broadcasting,” Itaye said. The Macra boss said among the major challenges facing spectrum management in Malawi is the absence of an accurate database for specific bands. Itaye said while this audit will assist in building the database, the re-farming exercise will also help in re-organising the FM band based on the realities on the ground. 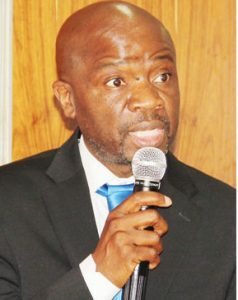 “In summary, the audit and re-farming exercise is expected to help our broadcasting industry in collecting data on current assignments in the FM band, collecting data on actual occupancy of the FM band, and obtaining data on FM transmitters in Malawi and on planned channels in the border areas of the country for coordination purposes as per International Telecommunications Union requirements,” he said. Casitel Managing Director, Davood Molkdar, said re-farming is critical in freeing some underutilised space on the spectrum. He could, however, not foretell how much space the exercise would create.